One of my friends alerted me to the fact that those fabric softener sheets some folks use are chock full of nasty chemicals. I’ve never used them myself (what! add another step to laundry? I can barely wash my clothes, and my family’s clothes, let alone remember to add something else when I do–), but I know people who do. So what is the problem? Check out this article from Grinning Planet (a quirky new eco-site I just found). The chemicals used on are many lists of chemicals to AVOID using (gee, why would these be allowed, then?). This nasty listed of chemicals has been linked to cancer, allergies, nausea, vomiting, irritated respiratory function, and central nervous system disorders, according to the article. Sounds like fun, huh? Two of the chemicals are on the EPA’s hazardous waste list! All for some softness, a “clean” scent, and to avoid some static. The link also has some great alternatives for using fabric softener. Here is another article on the subject, from World-Wire news, sharing most of the same information as the above article, with a few different alternatives to using fabric softener. This article also points out that the chemicals in these softeners are so strong that manufacturers have to use 50 times the normal amount of fragrance to cover it up! This should set off alarm bells for folks who avoid synthetic perfumes and fragrances (like we do) because of our kids’ sensitive skin and potential for allergic reactions. I recently used fabric softener sheets to try and deter mice in our kitchen. I read this tip online and should have thought about it. Ah, if the scent deters mice, why exactly is it okay for my family to inhale it? It’s clearly not okay. One of the chemicals is “harmful if inhaled”, and we inhaled it everyday in our kitchen until the scent ran out. It did seem to work. Turns out the mice were smarter than we were. For the chemically sensitive, the allergic, and all of us who are trying to limit our children’s exposure to toxic chemicals, clearly, fabric softener sheets are not as fresh as a mountain stream. 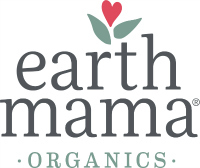 What is the Best (natural, no chemical junk) Cream for Eczema? I had no idea! There are more than enough reasons to never use those things. Why do so many older (sorry, mom) people love them so?? 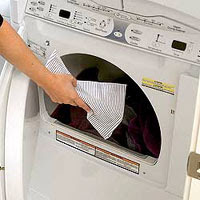 katy, i found this entry via enviroblog and thought i’d throw this out as another alternative to fabric softener/dryer sheets: rub a small amount of fragrance-free hair conditioner into a clean, dry rag or handkerchief and toss it in the dryer with your wet clothes. it really helps reduce static. it’s reusable and it’s something you already have in the house! Great idea, Maria! I love it when I don’t have to buy anything. Thanks for the tip. Another negative thing about the sheets is that they coat your clothes with this chemical film. Try putting a dryer sheet in a bowl of water for 20 minutes and then get anyone who doesn’t believe you about this fact to touch the sheet. It is SLIME. Hi Katy, I’m gobbling up your blog. I see you are on Talkshoe, too. About dryer sheets, I’m very sensitive to chemicals and just the fumes from neighbours exhaust makes me weak in the knees. Did you know if you dry cotton and other natural fibres, your clothes won’t stick? It’s when you have nylon or acrylic or other synthetics that you get the static. I just use Nature Clean laundry soap and nothing else. I tried Talkshoe one night on a whim. It was fun, and I was just learning how to do it. No one called (probably because I only gave a couple hours notice) and it was a bit nerve-racking. I might try it again at some point. Do you think it would reach some parents and be helpful to Talkshoe about some of this stuff? I don’t use any fabric softners either. Thanks to the anonymous poster with the tip for a better alternative. I do believe there is a toxic coating on clothes when they have been washed with chemical softners because when someone else (ahem, in my extended family) washes my kids’ clothes, I can smell and feel it. I am glad you are “gobbling” up the blog. That description cracked me up. Thanks for your thoughts and kind words. Hi Katy, I sure do think it’d be helpful. That’s what I’m doing, afterall! But like your blog, it takes time. I enjoy it so much. I’m hosting a talkcast this Thursday at 6 PM EST. Living in a Chemical Soup. I’d be delighted if you could come and/or call in. I’m featuring a room in the house each week and this week….Ta Da!…is the bathroom. If you’d like to see what I’ll be talking about, my new site is http://chemicalsoup.ning.com. Just rolling it out as of today. I can come to your talkcast too sometime. Invite me! I’m always around and enjoy it. It’ll give you a chance to try it out a bit more, too. It takes time and energy building listeners and helping them with Talkshoe is part of the process. Every host starts out talking to herself! At least I did on my other talkcast. But eventually people starting showin’ up. If you have readers here, you might ask first if this is something they’d benefit from. I had no idea about your Chemical Soup show! What a great name, I love it and I am sure I would be interested in hearing it and participating. I will try to tune in and call in on Thursday, and I would love to do a show with you. I am also glad to hear that everyone begins talking to themselves because I felt like a dork. Thanks for the info and I will check out your shows. I’m an elementary teacher. You can’t imagine the cacophony of odors in my classroom due to laundry additives. Not only does the “detergent” have a powerful odor (even the “green” lol products ), but also the softeners that really don’t soften, they coat the clothes, as we all know. I finally had to get the school nurse involved since I have 3 asthmatic children in the class. One child actually wears the clothes that make him smell like he’s been working in a perfume company. Mom can’t understand why he wheezes! My eyes water and my head aches some days. The effect of these products is as intrusive & destructive as the smell of cigarettes. I am also a director in the non-toxic world of Shaklee. I’ve used the laundry products for 18 years. No odors, just clean clothes – plus save a lot of money. If you have school children, please pass along my story. It’s also interesting that my children with attention needs are also those who are wearing a field of flowers and mountain breezes on their clothes. Help! !